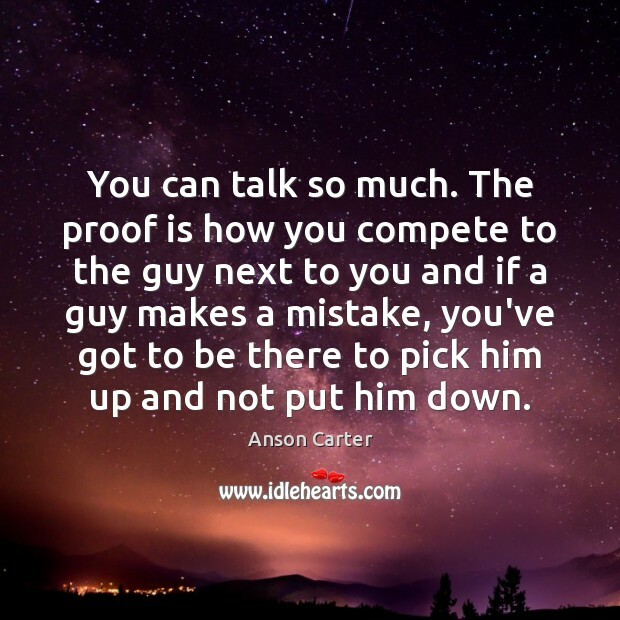 Enjoy the best inspirational, motivational, positive, funny and famous quotes by Anson Carter. Use words and picture quotations to push forward and inspire you keep going in life! You can talk so much. 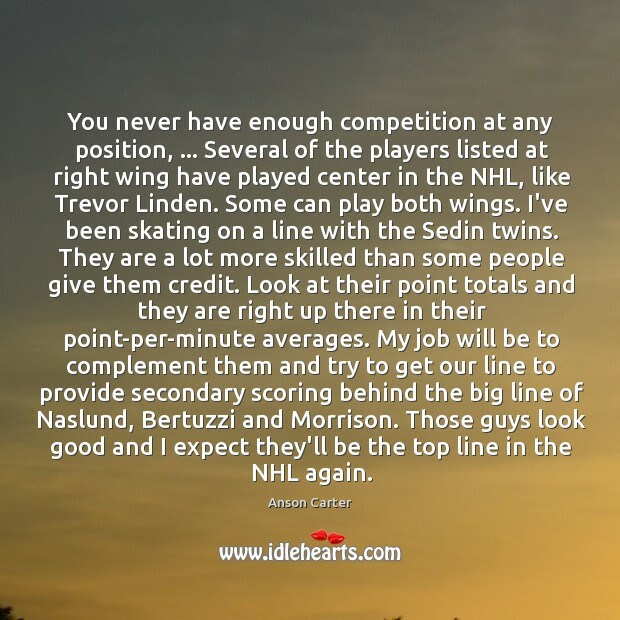 The proof is how you compete to the guy next to you and if a guy makes a mistake, you've got to be there to pick him up and not put him down. 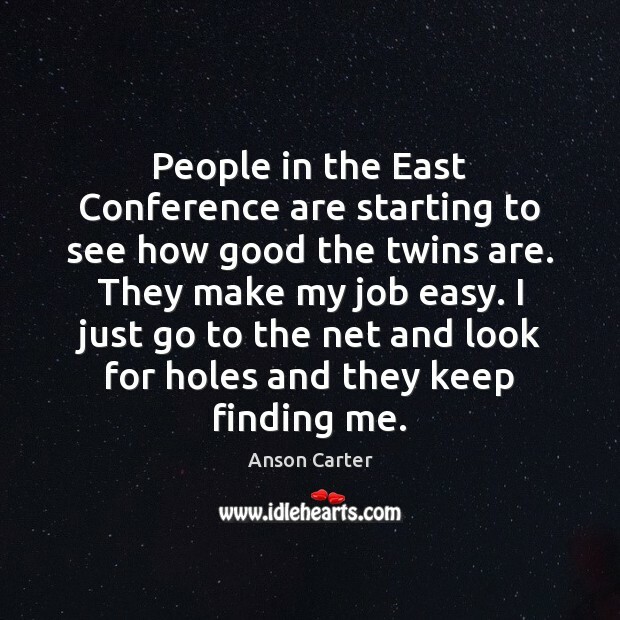 People in the East Conference are starting to see how good the twins are. They make my job easy. I just go to the net and look for holes and they keep finding me.